Day 3 of DL and NVIDIA’s Two Weeks of Holiday Tegra is here! We knocked out two of our ten tablets on Monday and Tuesday, but this is only the beginning. Counting today, you have another 7 chances to walk away as a new Tegra 2 powered tablet owner. 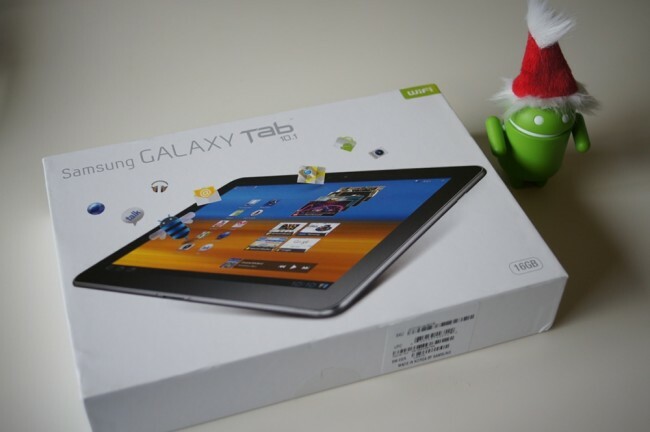 What do you say we give away a shiny new Samsung Galaxy Tab 10.1 to celebrate? As one of our favorite Android tablets to date, there aren’t many this thin or with a display as beautiful. If there was one tablet to get your Tegra Zone gaming fix on, this would most definitely be it. And speaking of Tegra, you may want to consider Zen Pinball THD as your first Tegra-built game. Who doesn’t love pinball? Update: After spoiling every underage DL reader’s dreams with your 2,700+ Santa stories our contest has come to a close. A winner has been picked! Mwalker267 found out that Santa wasn’t real because he caught him in bed with his mom…not even santa is that giving. Congrats! Be sure to check back in the morning for tablet 4. 1 (one) Samsung Galaxy Tab 10.1 16GB.